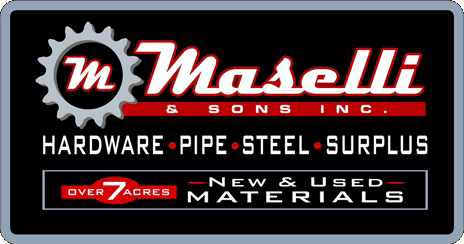 Home - M. Maselli & Sons, Inc.
A family owned and operated business since 1960, M. Maselli & Sons, Inc. is much more than just a hardware store. With the widest range of new and used products in Northern California, we cater to almost anyone. From industry specific needs to basic homeowner repair, our products and services go beyond the essentials. We vow to never forget our roots by striving to blend a unique old-fashioned feel to our business—still hand writing tags and prices, while also keeping up to date knowledge, products and services to give you a truly special experience.